Time has made several new hires and promotions. Details are below. Julie Shapiro has been named a news editor on the global continuous publishing desk. She previously worked for DNAinfo. Kirsten Salyer joins as deputy ideas editor. She previously at worked for Bloomberg View. Dana Lacey joins as partnerships editor. She most recently worked at software startup ScribbleLive. Eliza Berman has been named associate editor. Berman previously wrote for Slate. 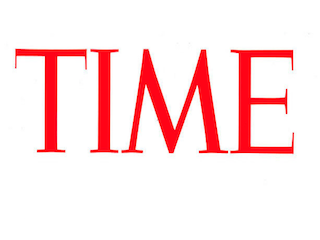 Tyler Borchers joins Time as audience engagement editor. He previously held internships at Vox Media and Talking Points Memo. Miles Kohrman has been named homepage editor. He previously served as an editorial assistant at Fast Company. Dan Stewart has been promoted to continuous news editor. He joined Time in 2013. Previously Stewart worked for The Week. Alex Fitzpatrick has been promoted to deputy technology editor. He also joined Time in 2013. Jack Dickey has been promoted to staff writer. He joined Time and Sports Illustrated in 2013. Andrew Katz has been promoted to news editor on the global continuous publishing desk. He previously worked as Time’s homepage editor. Sarah Begley has been promoted to web reporter. She previously served as Time’s digital operations editor.